Timely response is one of the biggest challenges that police departments and emergency workers face. A matter of seconds can be the difference between life and death, the difference between a foiled burglary or a successful one, and the difference between uneventfully apprehending an active shooter or the injury of dozens of people. Fast response times are a challenge nationwide, but they’re especially a challenge in places where budgets cuts translate to reduced manpower. Regardless of a city’s situation, it’s important for officials to consider solutions that help promote – and not inhibit – public safety. And while there is a plethora of conventional technologies that can be implemented, Video Content Analytics (VCA) is an emerging technology that’s poised to become a game-changer. 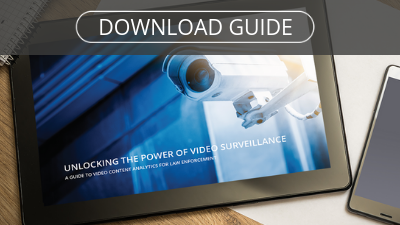 Video Content Analytics essentially optimizes the benefits of video surveillance so that officials can search through video faster and streamline response times. Analytics allows police departments and security teams to perform better, enabling one person to complete the search and video monitoring that, without a VCA solution, would have to be managed by large teams of people. Reviewing footage captured by a conventional video surveillance system is a full-time job. And even then, sifting through hours – perhaps even days – of video in an effort to detect suspicious activity is tedious, inefficient and potentially inconclusive. Video Content Analytics allows officials to quickly search and review large volumes of video and pinpoint suspicious activity by applying search filters such as vehicle type, gender, colors or more. While investigating in the aftermath of an incident, this leads to faster identification of criminal activity and quicker apprehension. The Hartford Police Department, for example, is using Video Content Analytics to solve crimes that were once deemed “unsolvable.” Specifically, the department is now able to quickly and easily review video footage from previous hours, days or weeks to collect evidence, identify suspects and then make arrests. VCA technology can help accelerate emergency response to typical campus threats, such as sexual assault, active shooters, general theft and drug activity, by enabling security to create real-time alerts when suspicious activity is detected. When such alerts are triggered, security can respond faster and better foil activity. For example, if an alert is triggered due to movement in a restricted area of campus, security officials are able to monitor and respond to the situation accordingly. Emergency response doesn’t just apply to law enforcement or security. In hospitals, for example, staff members are tasked with monitoring patients who are deemed “at-risk.” These staff members are responsible for notifying doctors and nurses when these patients engage in behavior that may be life threatening. Video monitoring can take the middleman out of the equation in hospitals and health care centers, enabling faster response and keeping patients safer. Alerts can also be created to ensure at-risk patients aren’t leaving the hospital or healthcare center, and to ensure that ambulance access to emergency rooms isn’t being obstructed. Fast response times are essential to providing optimal safety in communities, on campus and in other environments. It’s why it’s important for officials to carefully assess their emergency response practices and always be on the lookout for ways to improve. When time is of the essence, even just responding seconds faster can make all the difference, and video analytics is just one technology that can be used to effectively accelerate emergency response.